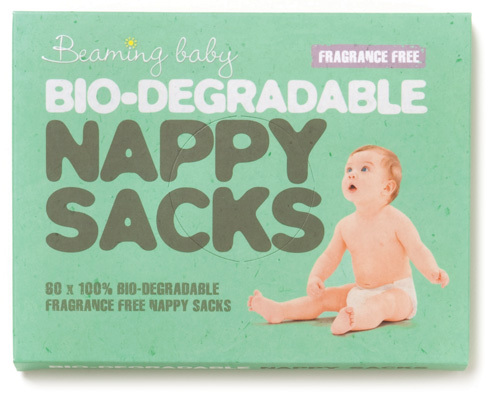 These 100% biodegradable and 100% compostable nappy sacks are the solution to clean and environmentally friendly disposal. Easy to pull out the next bag from the 100% recycled paper box, each bag will leave no harmful residues and will degrade completely within 2-5 years. 60 fragrance free bags with tie handles. Dimensions when flat: 20cm x 12cm, excluding handles. Made to fit 1 nappy. Warning: Do not flush down toilet, this could block your toilet. The Fragrance Free Beaming Baby Biodegradable Nappy Sacks product ethics are indicated below. To learn more about these product ethics and to see related products, follow the links below. 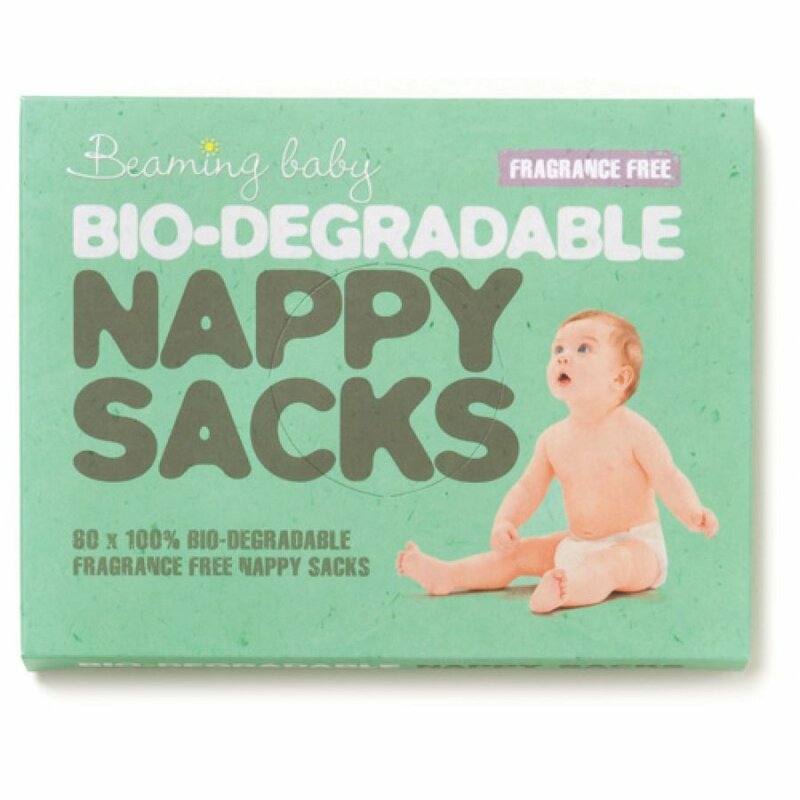 There are currently no questions to display about Fragrance Free Beaming Baby Biodegradable Nappy Sacks.